Purpose: The aim of this study is to provide evidence of the importance of institutional quality as a determinant of poverty reduction. Effective governance needs a framework of knowledge management to be able to be successful. Design/methodology/approach: There are two opposing arguments in the literature on governance regarding its impact on economic development. The first view considers governance to be very crucial to all manner of favourable development outcomes.The other point of view argues that all aspects of governance are not equally critical for economic development at different stages of development. The analysis uses panel data estimation techniques to investigate the impact of governance on poverty reduction using 71 developing countries in different geographical regions. Principal component analysis is used first to obtain an overall governance indicator. Findings: Governance is of crucial importance for poverty reduction. Ensuring that good governance is implemented and in particular maintained we require a framework that monitors and facilitates examination, supervision and revision of processes of Knowledge management governance so that the process of Knowledge Management is itself subject to good governance. Research limitations/implications: The sample consists of 71 developing countries and the choice of time period is restricted due to governance data availability. Future research possibilities may lie in looking in depth at the interrelationship between knowledge management and governance over infrastructure, public delivery service and investments. The poverty–governance model was developed without including knowledge management. 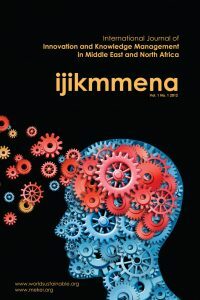 Future research possibilities may lie in testing empirically the influence of Knowledge Management on governance and other developmental outcomes. Social implications: Setting up a transparent system between decision makers, officials and the public through implementing structures that actually use and value the four dimensions of KM appears to be an absolute requirement for good governance in education, health or any sector of the social fabric. KM promotes a long-term focus on developing skills and competences and helps organisations to adapt accumulated knowledge in their economic development efforts in a way that more effectively will meet the needs of marginalized people. Originality/value: The paper focuses on the role of institutional quality in reducing poverty levels in developing countries using pooled data. The paper develops a conceptual model to explain the linkage between knowledge management dimensions and governance.